TOWN HOUSE ON NEW MODERN COMPLEX, SLEEPS 6. 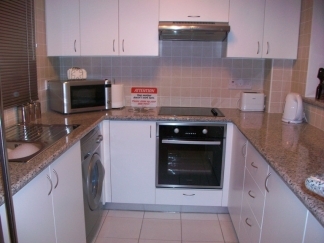 Modern 3 bedroom town house on new compex just 5 mins away from paphos airport. Fully equiped with all mod cons and tastfully decorated. 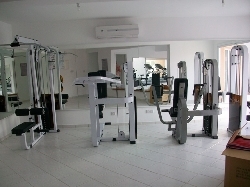 On site there are 2 infinity pools, 1 with jacuzzi, state of the art fully equiped gymnasium, and hobby room. 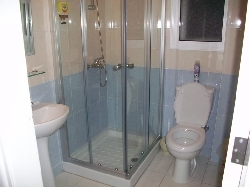 The property conprises of large open plan dinning area, kitchen , living area and a w.c on the groung floor. On the 2nd floor there is the master bedroom with en-suite and small balcony, twin room and shower room. 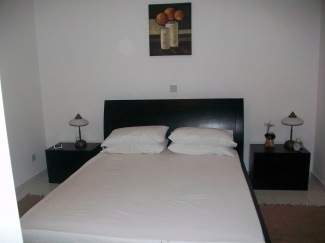 On the top floor of the property there is another double bedroom and a very large roof terrace. 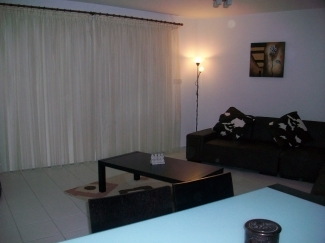 The living area and all three bedrooms have air conditioning units at extra cost of �50 per week but the property comes with 4 large floor standing fans and safe at no extra cost. At the front of the property there is a small driveway and to the rear of the property there is a patio area leading into the living area. The property has great views of the complex and exceptional views of the pools. Please get in touch for rental rates for multipul weeks or long term rents. 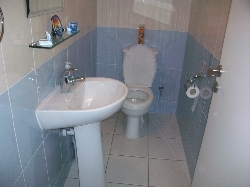 There is a cleaning charge of 60.00 Euros.